If a calendar contains sensitive information, or shouldn't be edited by just anyone, you can restrict viewing and/or editing of it. 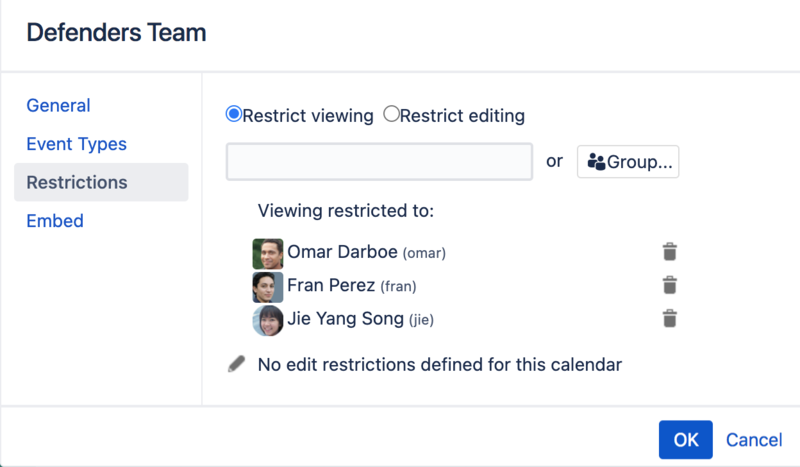 Restrictions in Team Calendars work in much the same way they do in Confluence – allowing you to restrict content to single users or Confluence groups. Calendars also respect the view permissions of their related space. When you create a calendar in a space, or add a related space to an existing calendar, only people with permission to view the space will be able to see the calendar. 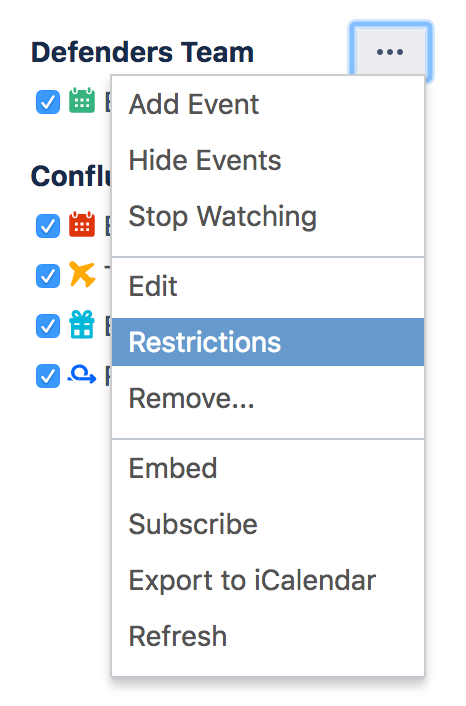 If you restrict editing of a calendar, any user not allowed to edit the calendar won't be able to add events to the calendar, edit any existing events, or change restrictions for the calendar. For more information about Confluence groups, take a look at the Global Groups Overview page in our Confluence documentation.